Town slipped to a disappointing 2-0 defeat against Somerset rivals Frome Town at Badgers hill yesterday afternoon (16 Mar). The game was effectively over for the Peacocks inside the first 10 minutes as Troy Simpson opened the scoring with just 59 seconds played and Tom Mehew’s free kick found the top corner with assistance from the wind 7 minutes later. The hosts were reduced to 10 men just before th half-time whilstle when Ricky Scott’s boot connected with Pierce Mitchell’s face leaving the referee little option but to show a straight red card. 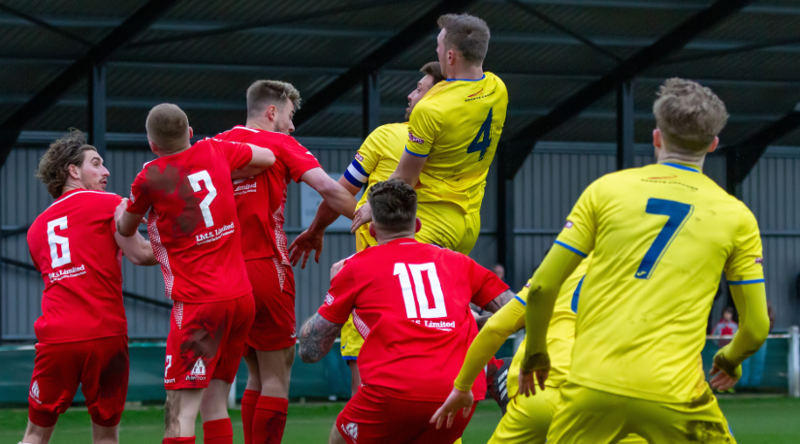 Town started the second-half brightly and dominated proceeding in the second period but offered little in front of goal to fall to another defeat on the road.